Home» Show » Into the Woods Jr. The Brothers Grimm go Broadway as Sondheim and Lapine offer up a cockeyed fairy tale where all of your favorite characters-Cinderella, Little Red Riding Hood, Jack (and his beanstalk) and The Witch-meet and interact on their journeys. With unforgettable roles, little dancing and no chorus, Into The Woods Junior showcases a medium-sized ensemble of talented singers and actors. The sophisticated score has been adapted to make it easier-though still challenging-for young performers. 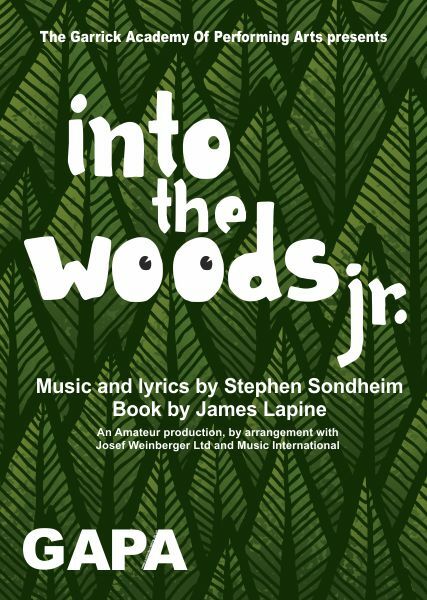 Into The Woods Junior is a funny and engaging way to get young people to think about the stories with which they?ve grown up and the ethical issues raised therein.